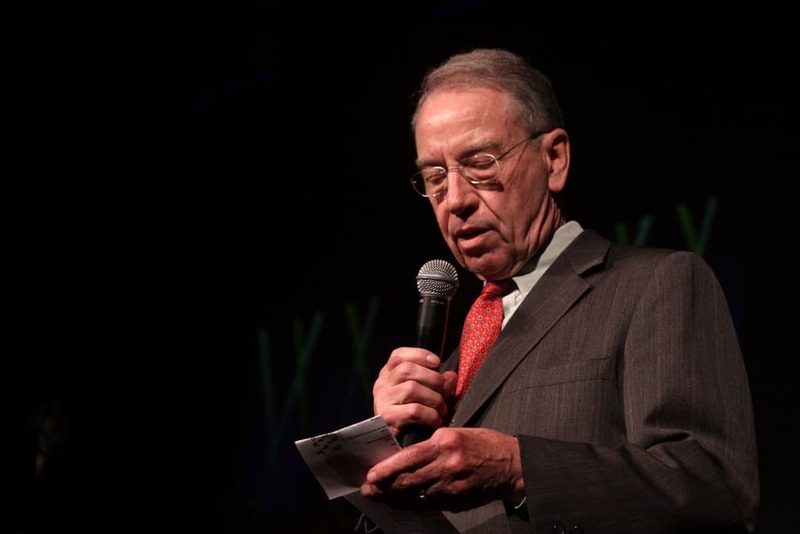 Republican Senator Chuck Grassley has been at the forefront of the news as of late. As the chairman of the Senate Judiciary Committee, he has been the man in charge of leading the committee’s hearings on Trump’s Supreme Court Nominee Brett Kavanaugh. Grassley has also been a staunch Trump supporter since the President has been inaugurated. In fact, he has voted in line with Trump’s positions 90.9% of the time. Some of Grassley’s loyalty to Trump has been seen in the form of his support for the president’s $12 billion farmer bailout. The bailout is essentially President Trump’s way of reimbursing farmers who have seen their profits dwindle due to Trump’s own tariffs. In other words, Trump caused farmers to lose money, so he’s using tax-payer dollars to pay them back. Now, the Huffington Post reports that Republican Senator Chuck Grassley will actually apply for some of these bailout funds for his own 750 acre Iowa farm. Grassley, who is worth an estimated $3.336 million, owns farmland valued at an estimated $1.2 million. He stands to see a large chunk of money coming from the exact farmer relief package that he supported as a U.S. Senator. One major concern by economists is that Trump’s tariffs are hurting other industries as well. It’s not just American farmers who are being impacted in a negative way by these tariffs. People question why taxpayers should be on the hook for a problem that Trump created himself and a problem that may eventually trickle down to the rest of us in one way or another. It is unknown how much money Grassley will receive from his application for funds. It’s also noteworthy to report that Democratic Senator Jon Tester has also applied for these same farmer relief funds, although he did not support the bill.